Lindsay Foster-Drago is the third generation to hold a leadership position at KEITH. 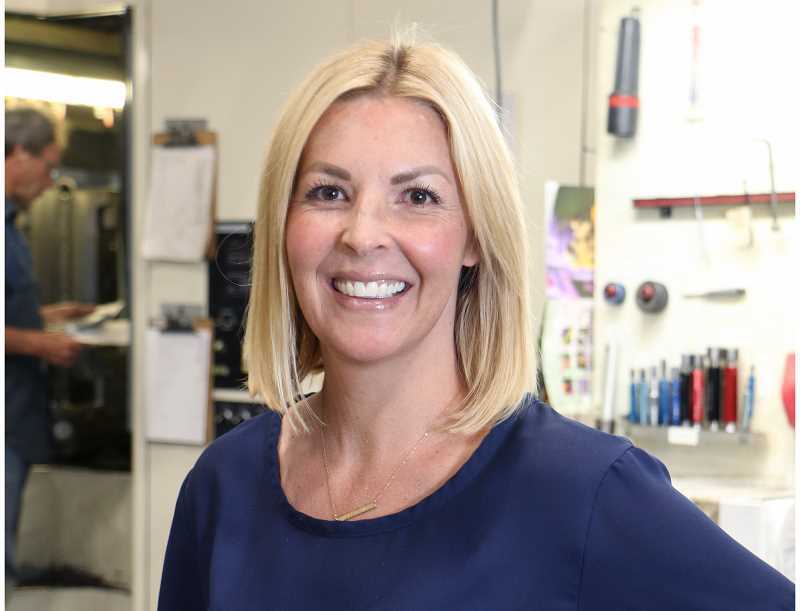 KEITH Manufacturing Co. has announced that Lindsay Foster-Drago, of Madras, will oversee worldwide customer growth as the director of global strategy for KEITH, assisting the company's continued focus on new international markets. Foster-Drago, the granddaughter of company founder Keith Foster, is the third generation to hold a leadership position within the company. She has spent the past 12 years at KEITH, helping to implement the company's long-term goals while learning the family business. As director of global strategy, Foster-Drago will concentrate on developing new customer relationships, as well as strengthen existing business connections on an international level. She will also help drive the long-term plans for the company's Walking Floor material handling technology. Foster-Drago began her career with KEITH in 2006, as a process improvement coordinator, charged with implementing the company's "LEAN manufacturing" initiatives. She later led LEAN activities, producing significant cost savings through productivity, safety and quality process improvements. In addition, Foster-Drago has expanded her focus to building a strong company culture and team member development. Foster-Drago graduated from Loyola Marymount University in Los Angeles, California, with a bachelor's degree in communication studies. She later earned her master's degree in business administration from Marylhurst University, where she focused her research on the management activities of KEITH Manufacturing Co. She currently resides with her husband and two children in Madras. KEITH Manufacturing. Co. designs and manufactures the patented Walking Floor system, a moving floor horizontal unloading and loading system. With its world headquarters located in Madras, the company machines, fabricates and assembles nearly 100 percent of the components used in the KEITH Walking Floor systems. For more than 60 years, KEITH Manufacturing Co. has provided customers with reliable material handling equipment used in a multitude of industries. KEITH employs approximately 200 team members at its Madras facility, and includes international operations in Canada, Europe, Australia and Mexico.